Chase Elliott secured the checkered flag at the Hollywood Casino 400. 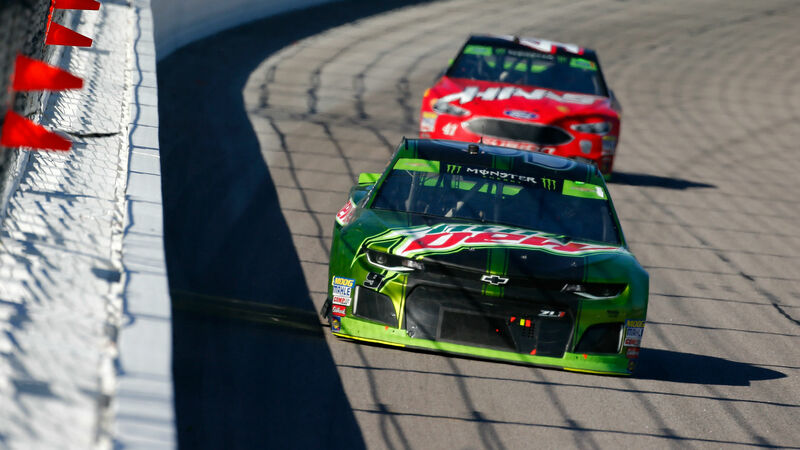 Elliott held off a late push from Kyle Busch and Kyle Larson to pick up the playoff victory at the Kansas Speedway on Sunday. The win was Elliott’s third of the season and second in his last three races. 3 wins in the last 11 races. “It was awesome,” Elliott told NBC after the race. “Just enjoyed racing. Had a great car today … It’s been a great couple of months, so we’ve got to keep it rolling. This is the time that counts. Joey Logano started on the pole and secured the win in Stage 1, and Kevin Harvick was victorious in Stage 2. Harvick had a late lead, but was penalized for entering pit road too fast. He finished in 12th.